A scale model of the Solar System has been constructed to scale in Portland. The Sun and all the planets are shown to scale. 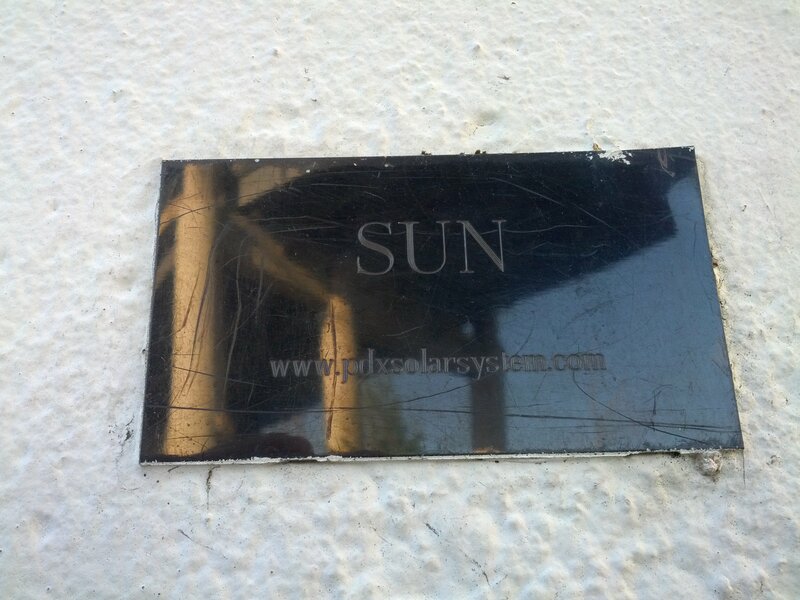 They are placed throughout the city at scale distances from the Sun. Sites have been chosen for accurate scale distance from the Sun, as well as for scenic views of the city. Touring the Solar System in Portland provides both an experience of the immense distances and powerful gravitational forces of our solar system, and a sense of the variety and beauty of Portland landscapes and panoramic views. This scale model of the Solar System is constructed at a scale of 1:500,000,000, which means that one mile on the streets of Portland equals 500 million miles in space. Light will travel 500 million miles in about 45 minutes. The Sun is the chimney at the OMSI building on the east side of the Willamette River, underneath the Marquam Bridge. The Sun (or the bridge) can be seen from each of the planet models which are located throughout the city. Each planet is a sphere built to scale, and located at a scale distance from the "Sun". The total model covers more than 150 square miles, but all the 'planets' can be visited in one day. For a tour of the Portland Solar System, click on each planet name. You will find directions to each planet as well as more information about that planet. To find each planet, look for the small black plate with the planet name engraved in brass.